It was my mum’s birthday last week. Quite a milestone as she turned 65 years old. She is a young 65 though, still working and has a great social life. And as tradition dictates, we had mum around for a birthday dinner. If you are a regular visitor to Cakeyboi, you will know that I make a carrot cake (her favourite cake) for her every year, albeit with a twist. Two years ago I made a Carrot Loaf Cake and last year was a Carrot Cake Swiss Roll. 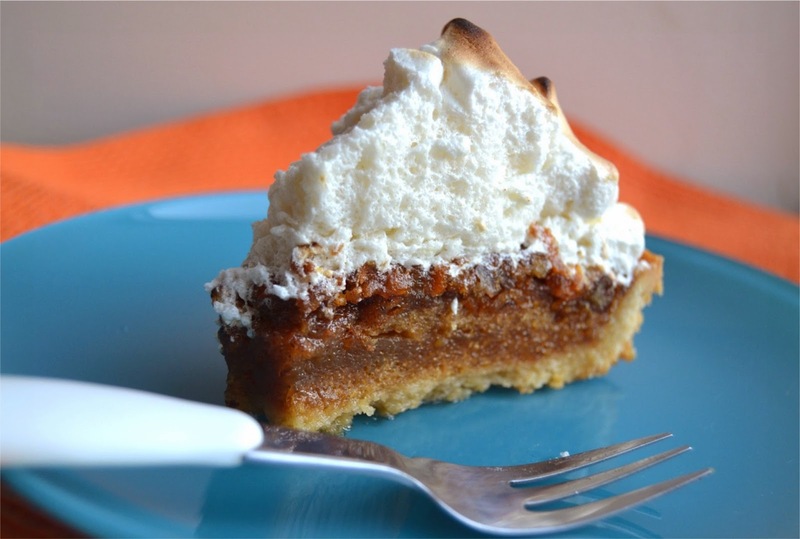 But this year I wanted to go for something a wee bit different – Carrot Cake Meringue Pie. Let’s be clear, this is not a carrot meringue pie – a pie with sweet carrot curd – it is a gooey carrot cake, in a pie shell, topped with fluffy marshmallowy meringue. The ‘cake’ part is like a molten carrot cake, it has a wee bit of golden syrup in there to keep it gooier but tastes just like a proper carrot cake. I used a shop-bought pie crust shell, but you could make you own, obviously, if you had time. I made LOTS of meringue and piled it HIGH. This means when it is toasted on the outside, the inside it still nice and fluffy. Mum and Disneyboi (and I) loved it and I know you will too! Preheat the oven to 180C and place the pie shell, in it's foil dish on a baking tray. Sift together the flour, cinnamon, bicarb, and salt in a bowl and set aside. In a separate bowl, mix together the melted butter, brown sugar and syrup until smooth. Add the eggs and beat until incorporated. Add the flour mix and gently combine until the dry ingredients have been absorbed. Add the carrots and pecans and stir through. Transfer the cake batter to the pie shell and fill the pie as full as you can. Bake in the oven for 35 to 40 minutes. The cake will darken on top and there shouldn't be much wobble except in the middle, when ready. Allow to cool completely. Beat the egg whites in a mixer until foamy then slowly add the sugar and cornflour. Beat for about 5 minutes until the meringue is thick and glossy. Stir in the vanilla. Spoon or pipe the meringue on to the cooled pie as high as you can. Either in a low grill or with a blow torch, brown the outside of the meringue. The inside should stay soft and marshmallow like and the outside will have golden edges. I am also entering this Carrot Cake Meringue Pie into a new monthly challenge we are taking part in. 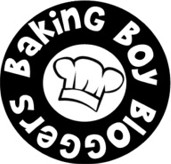 When I say we - I am referring to a new group that has been formed - Baking Boy Bloggers. The theme this month is meringue. If you are a male blogger who likes to bake, why don't you join us? Wow that looks great and love that you're not stingy with the meringue! Brilliant idea Stuart and I love how much meringue there is! There was a LOT lol! It looks amazing, and I think the huge pile of meringue is wonderful! Opps - removed the pie bit! I hope your son surprises you someday! Mate that looks a treat! Carrot cake is my request for my birthday also! This pie would be most welcome on my upcoming birthday! I hope you had a great birthday Bonnie! She had a great time Gem, cheers! Wow that's an entire mountain of meringue, your Mum is a very lucky lady! The more of a mountain the better I always say Jen! This sounds so good, I love the piled high meringue! 'molten carrot cake' sounds AMAZING, and that is one impressive heap of meringue! Looks delish! That combines so many flavours I love, I wish you could make one for me! Wish I could too Laura! Nice!!!!! Please send some over NOW!!!! The idea of molten carrot cake is just too good!